The Galaxy S8 and S8+ may be one of T-Mobile’s biggest smartphone releases in recent memory, but it’s not the only Samsung handset that’s hit T-Mo’s shelves lately. The Samsung Galaxy J3 Prime recently arrived at T-Mobile. The Galaxy J3 Prime is available to postpaid customers for $6.00 down and $6.00 per month for 24 months, which works out to a full price of $150.00. 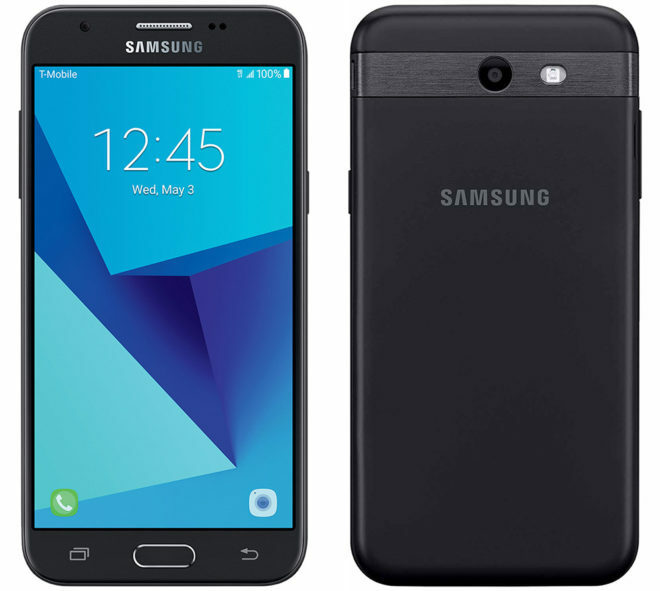 Samsung’s Galaxy J3 Prime is also available on prepaid for $150.00, but for a limited time, T-Mobile is offering a $75.00 instant discount on the device. MetroPCS is selling the Galaxy J3 Prime, too, for $69.00 after all special offers. When it comes to specs, the Samsung Galaxy J3 Prime is running Android 7.0 Nougat on a 5-inch 1280×720 display with 5-megapixel rear and 2-megapixel front cameras. It’s also packing an octa-core Exynos 7570 processor, 1.5GB of RAM, 16GB of storage, a microSD slot for adding more storage, and a 2600mAh battery. If that sounds up your alley, you can find the Galaxy J3 Prime, both postpaid and prepaid, at the links below. Samsung needs to ditch the Galaxy moniker for their low end devices. Most of them are garbage except the Galaxy J7 which was a pleasant surprise. The Samsung low ends used to improve Y2Y @ screen res, size, ram, storage, etc. But for 3 years now they’re stuck @ similar specs… earning the garbage moniker. Even the flagships come with glaring deficiencies… storage, fixed battery, usb. Yep, low end phones should be 2GB RAM now not 1.5GB. At least this one has 16GB though not 8GB of storage. I don’t want adoptive storage. My present phone’s 32gb are maxed out… this with all non essential stuff on external and/or cloud. I cannot install all the apps I want, much less Multiple Users. I’m sure I’d max out 64gb right away. So even most flagships for American market are woefully inadequate. the j3 is actually very good. camera is even decent. its a small j7. I just bought it 5 days ago from MetroPCS. As an “upgrade” “$69.00 after all special offers” = $69.00 + $15.00 + taxes ≈ $91.00. So far, a pretty deicent phone. I will update, with use. Does this phone have a amoled display?